February’s traffic safety focus is distracted driving. Research indicates that driver distractions contribute to 20 per cent to 30 per cent of all collisions and that distracted drivers are three times more likely to be involved in a collision than attentive drivers. 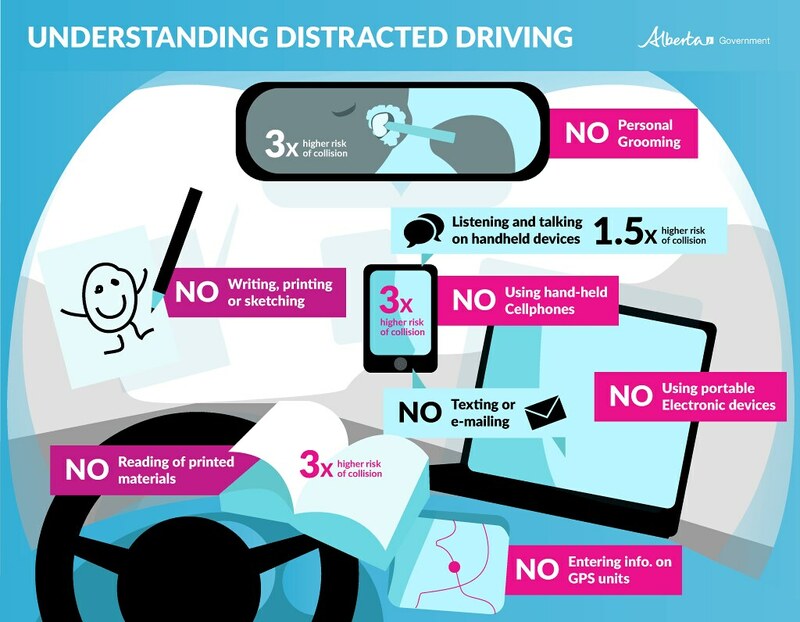 In the Driver Attitude Survey conducted in August 2014, 81 per cent of Alberta drivers believed distracted driving is the leading cause of collisions. Despite this, 53 per cent of Alberta drivers admitted to texting while driving in the previous three months.